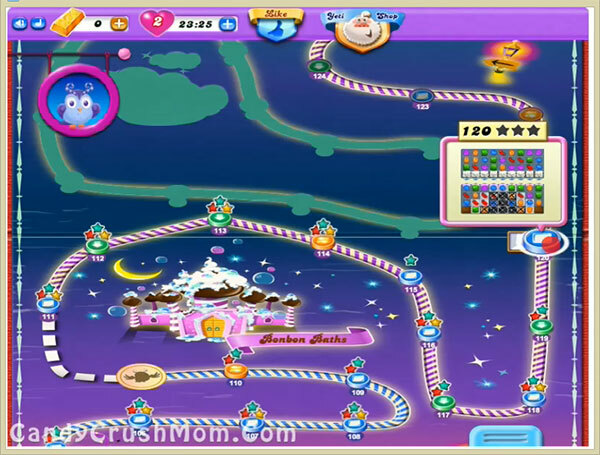 This level have little complicated candies board that divided in two parts. You need to break first the blockers row on the top part of the board so candies will start to fill everywhere. As you will break blockers you will have more chance to make special candies and you should make special combos from them after moon struck when the Odus owl disappear so the moon wont unbalance. We completed this level with 176300 score within 17 moves using colorbomb combos and got three star score at the end of level.